Today at Reliance stadium Vadodara, Australian women’s team beat Indian Women’s team by 60 runs and won the ODI series. This was the second match of Australia tour of India; team Australia was leading by 1-0 before this. Indian Batsman Smriti Mandhana only played some essential innings of 67 runs and set India to close the target of 288. 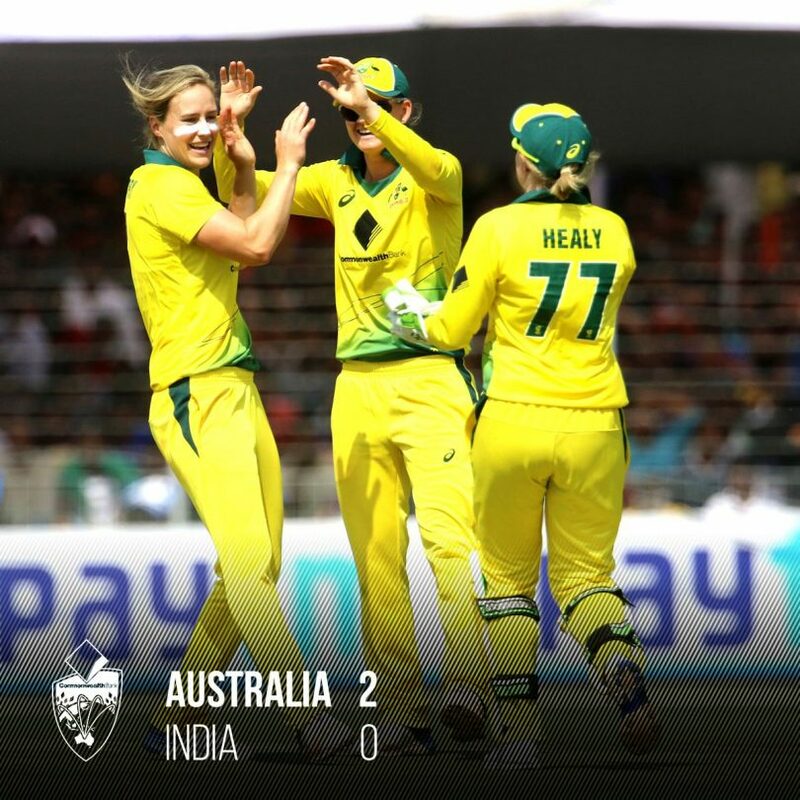 Australian batsman Nicole Bolton (84*), Ellyse Perry (70) and Beth Mooney (56*) guided Australia to set a good total at Vadodara’s batting pitch. Indian pacer Shikha Pandey got three wickets in her 10-overs spell and conceded 61 runs. At first Indian women won the toss and elected to bowl first. Star bowlers Shikha Pandey and Poonam Yadav were leading the Indian pace attack.